504S2 SONESSE 50 ILT2 VVF SHORT - UNIT Amazing Drapery HardwareLT50 Universal Motor Bracket(50 Nm max. )Maximum motor torque - 50 Nm. Zinc plated steel. Maximum system load - 115 Kg. 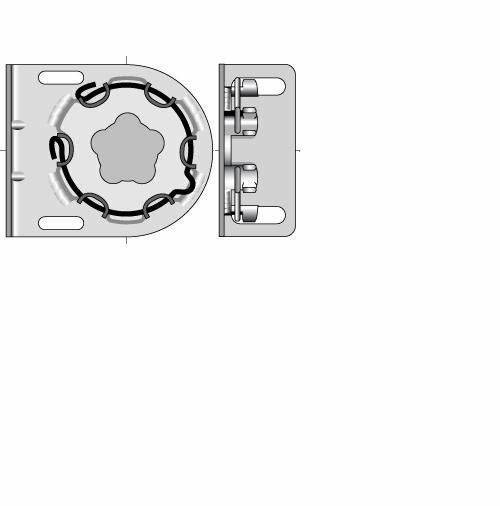 (254 lbs).Main technical information:Application(s):•Retractable AwningsMaximal Torque:•LT50: 50 NmFixing entraxes:• 60/Ø8,3 and 68/Ø6,3 mmMechanical: Maximal Torque: • LT50: 50 Nm Dimension:Fixing entraxes: • 60/Ø8,3 and 68/Ø6,3 mm Visit My eCRATER Store Amazing Drapery Hardware COME TAKE A PEEK!SHIPPING & RETURNS POLICY.WORRIED THESE ARE RIGHT FOR YOU?NO PROBLEM! We accept returns on all our parts within 14 daysCONTACT USWe are also here to help you through your ordering process.We are still here to help with any questions you may have about your installation once you receive your parts and get to work. QUESTIONS??? EMAIL USWe have years of window treatment experience, WE CAN HELP!On Nov-13-13 at 12:18:33 PST, seller added the following information:Every buyer gets a MyStoreRewards invitation for cash back. Continuous Plastic Bead Chain Loop -Off-White - Drop: 3"